With the HP 3D scanner Pro S3 you can scan even living things like people without the risks of a laser scanner. 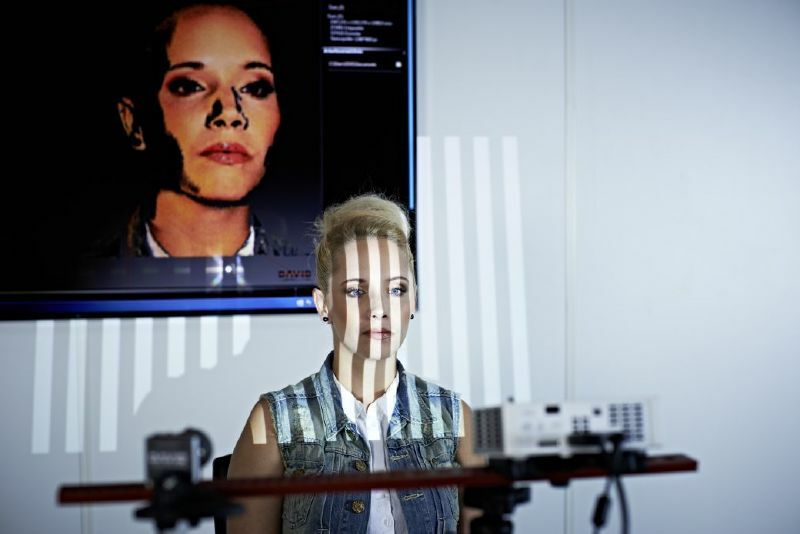 The structured light is harmless and scanning a human face is easy and safe. The former DAVID structured light 3D scanner SLS-3 is now HP 3D Structured Light Scanner Pro S3. That's right, HP acquired DAVID Vision Systems GmbH in 2016. So, different name, same high quality 3D scanner. With the HP Pro S3 you can easily scan faces, bodies, heads, body parts, animals, and other things not possible to scan with a laser scanner. This scanner comes with dedicated software, and you will be able to capture 3D data very quickly. It only takes seconds for a scan. And you don't need to mount the scanner on your CNC. That means you can digitize objects while the CNC is working away. Thanks to the modular design with flexible adjustments, you can scan almost anything from coins to furniture. For much more detail on these scanners, have a look at the HP website.